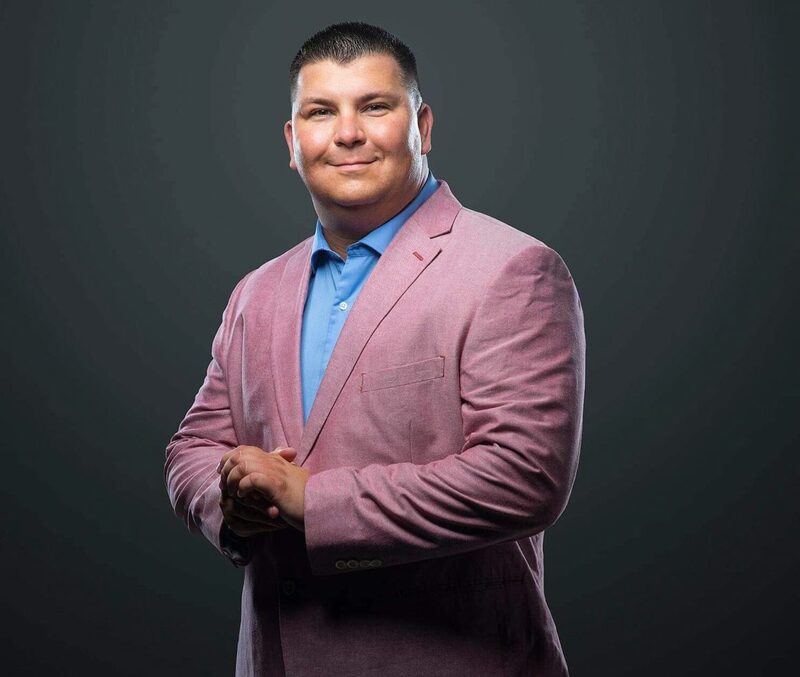 Welcome to William J. McCormick – THE CAR SALES & LEASING EXPERT: This is a site for customers to use as an online resource for getting to know me, my vehicles, and the difference in having me as their champion! THE CAR SALES & LEASING EXPERT: This is a site for customers to use as an online resource for getting to know me, my vehicles, and the difference in having me as their champion! Sap, sun, sand, and bugs — not to mention bird droppings — threaten your car’s finish all summer long. Even if you’ve been less than diligent keeping up appearances, an end of summer detail can set things right. “If you don’t get that stuff off your vehicle, it could bond and in some cases scratch or etch the surface,” said Mike Pennington, director of training at Meguiar’s, Inc. Neglecting the accumulation of summer contaminants can cause oxidation, dulling, and rough surfaces. Frequent car care and wax protection helps prevent contaminants from bonding to paint. Yet, simply wiping it down with a towel is not recommended as the contaminants can become trapped in the fiber and scratch painted surfaces. Use products specifically intended for cleaning vehicles, Pennington said. Cheap towels, t-shirts and diaper cloths can cause swirls or microscratches. Dirt particles trapped by fibers can act like sandpaper across the surface. Begin with wash products designed specifically for autos. They gently remove the sap, oils, bug goo and other summer contaminants. Never use dish soap, which has degreasing agents that strip wax, damage paint finish and degrade rubber. Get sheepskin or microfiber wash mitts that gently remove summer grime and trap it into tightly woven filaments. Use two buckets for one great shine. Use one bucket for your wash solution. Use a separate rinse bucket for towels and mitts. That way you’re not swooshing summer contaminants around wash solution and re-applying them to your vehicle. Wax, wax and more wax. It will not only make your vehicle look great for fall but it will help prevent harvest dust and insects from destroying vehicle paint. September also is a perfect time to apply wax for protection against contaminants from early rains and road grime. Carnauba formulas offer excellent protection but typically do not last as long as a synthetic product. Dry with a chamois, terry cloth towel or microfiber drying cloth. They won’t scratch the surface of your vehicle. Remove grime from wheels and wheel wells with specially formulated wheel cleaner solution. Warning: Do not clean with the same wash cloth or mitts used on the vehicle surface. Never, ever use brake wash solution on your vehicle surface. Contaminants in brake dusk can destroy paint. Apply tire cleaner and scrub with a tire brush. You’ll be impressed how tires look new after removing “browning” haze built up over summer. Time to Worry About Spots on Driveway? Oil is far from the only fluid found inside your vehicle. Engine coolant, as well as fluids for braking, steering, and cooling course through the automobile. The Washington D.C.-based organization has championed cautious, aware and defensive driving for nearly three decades. Hoses and cables enable the fluids to do their jobs year after year, but eventually wear out. More often than not a hose or cable offers clues that its clock is winding down. The key is to have a service adviser you can trust who sees and fixes minor issues before they become emergency repairs. Red: Leak likely associated with the transmission or power steering system. Black: Old oil, transmission fluid that’s gone bad. Green: Engine coolant, used to prevent the motor from overheating. Yellow: Brake fluid, the darker shades of yellow mean the fluid is aging and needs replacement. Old brake fluid takes on oxygen and reduces brake performance. Clear: Water, power steering fluid or gasoline. Stain beneath the car: Monitor and see if problem persists or worsens. Wet: It’s not an active drip, but there’s more than a stain. Seeping: Drips are pooling beneath the vehicle. Schedule an appointment with a service center. Leaking: Puddles form. Go to the service center immediately, even if you don’t have an appointment. Pouring: Fluid flowing from the vehicle. Tow the vehicle to a mechanic for the safety of you and other drivers. Streets and sidewalks surrounding schools are once again teeming with activity as another semester begins. Just as drivers must be vigilant in school zones and neighborhoods this time of year, students going to and from class need to pay attention as well. “The best way for parents and caregivers to educate their children on road safety is to talk openly and plainly about it and set a good example,” said Rhonda Craft, director of the California Office of Traffic Safety. -Stay five giant steps away from the road and wait until the driver lets you know that it is safe to board. -Respect the driver and minimize distracting behaviors. -Keep your limbs and head in the vehicle at all times. -When exiting the bus, look out for cars and immediately move out of the roadway. -Be on high alert in school zones as children will dart into the street without looking. -Don’t text, eat, or groom yourself while driving. -Do not pass a stopped school bus that’s either collecting children or dropping them off. -Stay on the sidewalk. If one doesn’t exist, walk facing traffic. -Always use a crosswalk if one is available, otherwise cross at an intersection. -Obey traffic signals when crossing the street. -Get familiar with the safest route, its traffic signals, and signs. -Always wear a properly fitted helmet. -Stop and look both ways before crossing any street or intersection. Any vehicle looks sharp when blessed with some polished wheels and gleaming tires. Getting the look right requires some attention to detail–and choosing the right products for the job. Aesthetics aside, clean wheels play a role in overall vehicle health. Wheels that are left to flake, chip and corrode can pose safety threats as they deteriorate. “Keeping your wheels clean is about making sure rust and corrosion don’t set in,” he said. As with any other aspect of maintenance, routine cleaning prevents the task from becoming too intense, Bateman said. “If you stay on top of maintenance you will be better off,” he said. As for tires, some cleaning products offer some protection against the sun’s ultraviolet rays while bringing out the tire’s natural black sheen and reducing cracking. In contrast, tire dressing is just for aesthetic appeal. “Dressing your tire can repel water, but it doesn’t actually add to tire life,” said Ron Fausnight, research and development manager for ITW Global Brands. Below, Bateman and Fausnight offer advice for getting those wheels and tires looking like they belong in the showroom. Clean wheels when they are cold. Wheels heat up when driven, so allow them to cool before washing to avoid thermal cracking or other complications. Avoid household detergents that can leach oils and wax from the rubber. An auto wash solution works well, as do specialty tire cleaners. When using tire cleaners, avoid overspraying onto the wheel. Tire dressings may dribble off and permanently stain cement or befoul the water table. Rather than spraying directly on tires, apply the solution to a cloth and wipe the sidewall thoroughly. Chose a cleaner that is acid-free. A general rule: If it is safe to use on vehicle paint, it is safe to use on wheels. A layer of polish or traditional auto wax provides protection against dusty summer roads. Clean the wheels every time you wash the vehicle. How Can I Ensure My Pet Will Get Enjoyment From My New Car With Me? Our four legged friends are as important to us as our children in most households. So when it comes time to pick out our new ride, how do we select one that will be right for us and for our pets? Well, in short, you should always talk to your salesperson about all your usage, including how you normally travel with your pet(s). A real sales pro will talk to you about safety for the pet and also about features that different vehicles have that might appeal more to someone who is a pet owner. This occurred to me to discuss here with you because I was talking with a gentleman earlier in my day who was out walking his large breed dog and told me that he’s coming back in to see me to do a demo drive without his dog to make sure that no fur got shed while we’d be out on a test drive. I could see how much he loved his dog and he told me what a pain it was to deal with cleaning up the fur all the time in his current vehicles when he and his wife would either one be driving with the dog in their car. That’s when I brought up the subject of pet friendly car accessories and features of the vehicles I carried that his dog would really get a lot of enjoyment from. I told him that there are some companies that carry dog hammocks of heavy material that attach to the headrests and would keep the fur from getting matted in the carpeting or seats. I also told him that the truck he was checking out had a fully powered rear window that lowered 100% and his dog could safely stick his head out in the wind while driving without worry of being clipped from anything oncoming. No large bugs, branches, or cars getting too close! I told him that many styles of the hammocks even had pocket for toy storage and treats. If he’d had a small breed pet, he could have looked at a safety seat for keeping the curious animals contained inside the cabin safely rather than getting nervous and distracting the driver with all sorts of movement. I could also mention that with the truck option, a dog box in the back would give his canine the fresh air as well and remove the risk of having to clean up dog hair afterwards because the dog would not be in the cabin. There are several ways to ride safely and enjoyably with our pets. I’m always interested in helping people find ways to enhance their in-vehicle experiences. Please reach out to me if you have any questions or suggestions on this matter. You can connect with me on Facebook by clicking here or you can send me an email at wmccormick@toyota.bertwolfe.com. Click here to listen to my interview by Patrick ( @PatrickHennJr )and Courtney Hennessey (@CourtneyHenn ), hosts of the BE LESS TYPICAL IN CAR SALES PODCAST. I was totally honored and humbled to be included to the awesome list of guests they’ve had on the show and then to have them want to stop by to sit down for lunch personally on their way through the state on a roadtrip to Florida where they were in the process of moving to! What a great couple and I feel blessed to be a part of their automotive family!